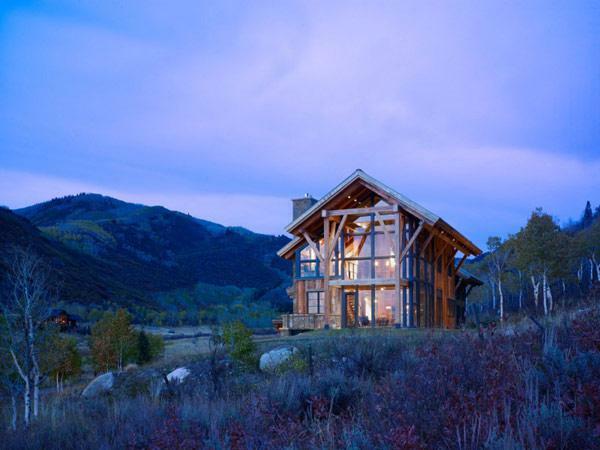 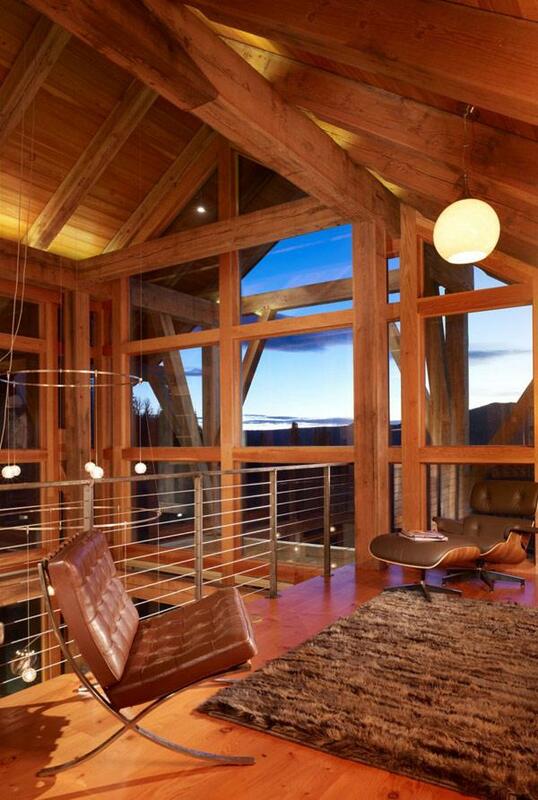 Located in Elkins Meadow subdivision, near Steamboat Springs, Colorado, USA, this beautiful wooden home complete with striking modern elements seems to reign over the landscape. 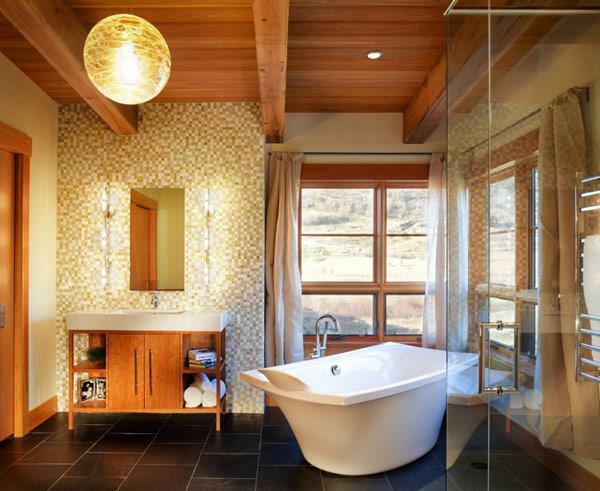 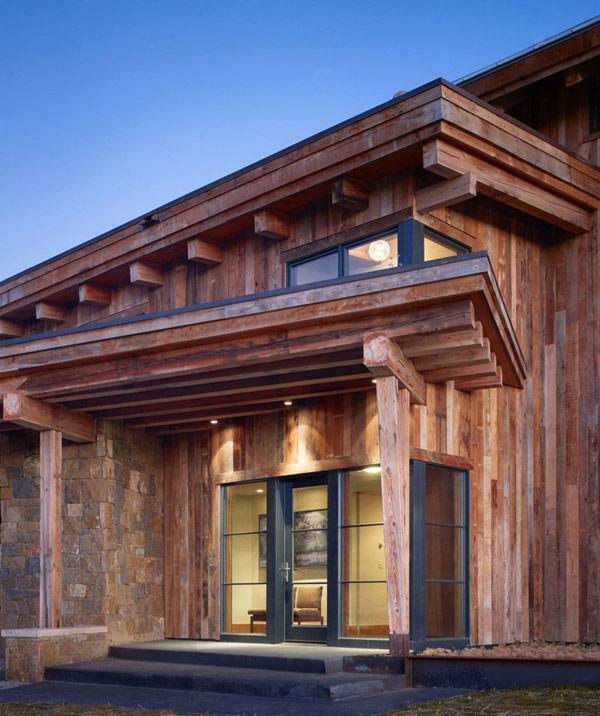 Designed by Colorado-based studio Robert Hawkins Architects, the Eco-Friendly Reed Residence displays an original architecture and focuses on sustainability. 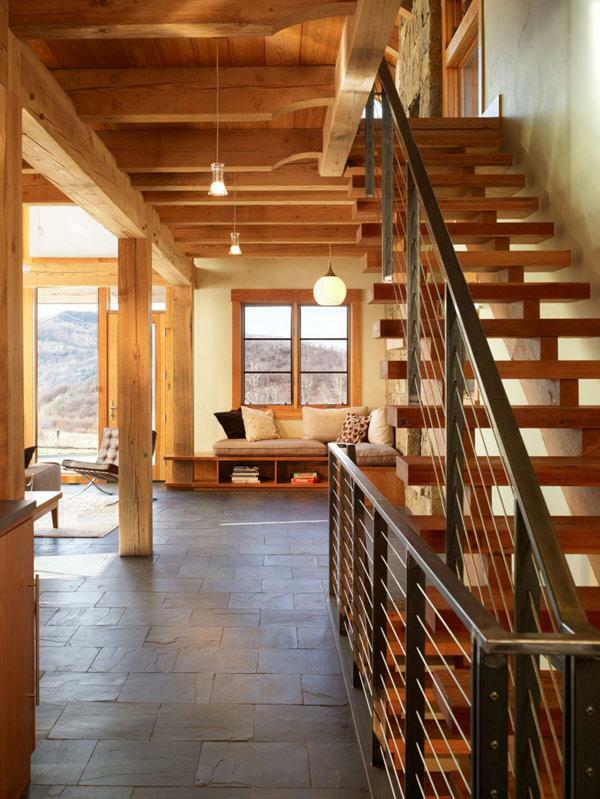 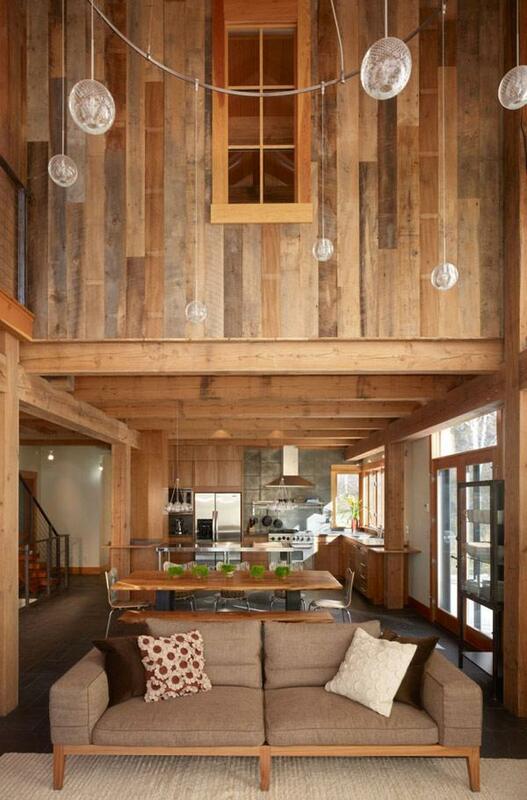 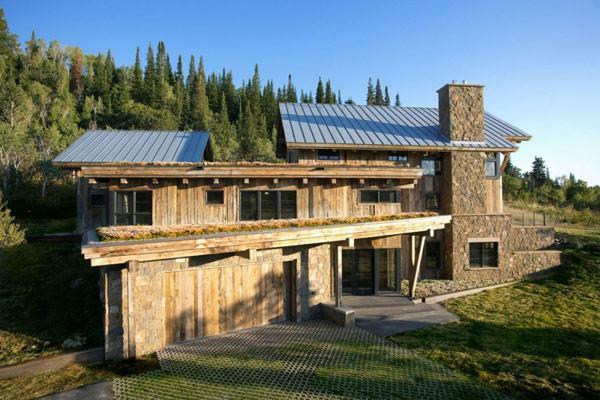 Energy Star Qualified Home featuring reclaimed wood for the timber frame, interior paneling, and exterior siding. 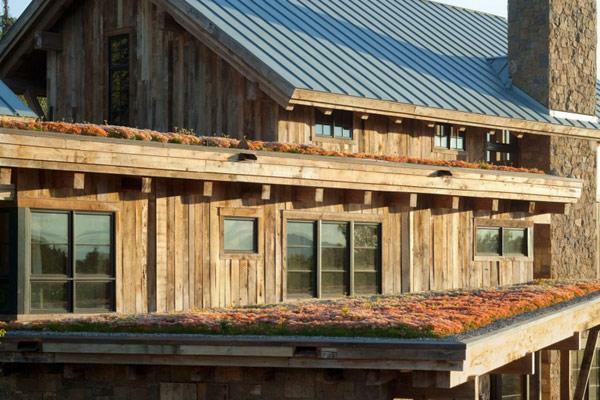 Half of the roof is a living roof planted with a SemperGreen sedum mat. 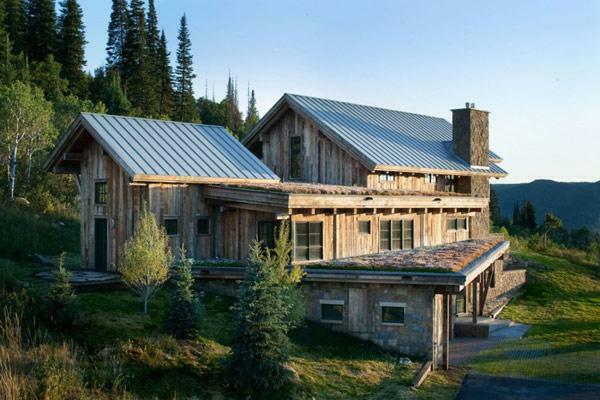 The remaining gable roofs provide the location, optimum orientation, and optimum pitch for solar panels. 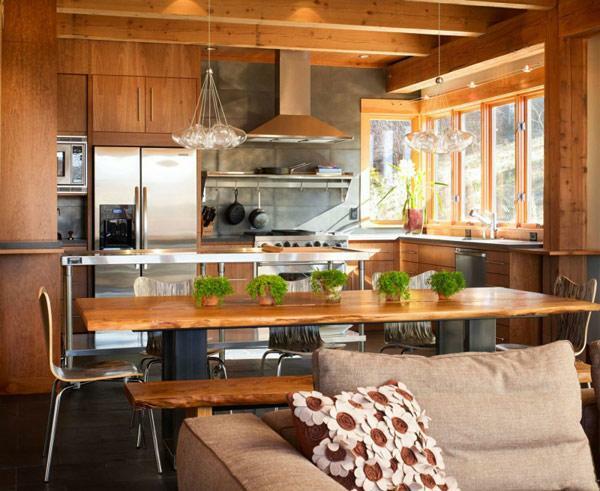 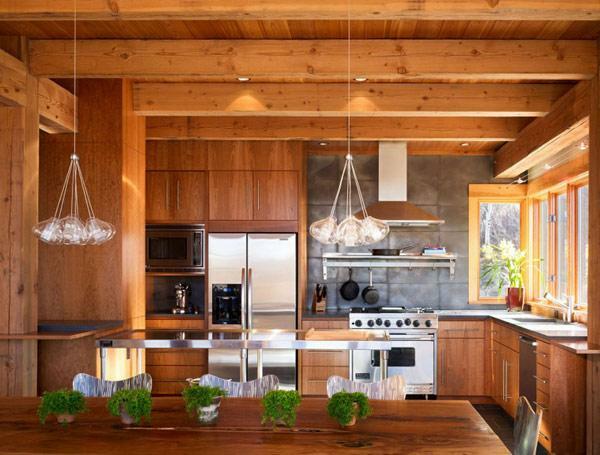 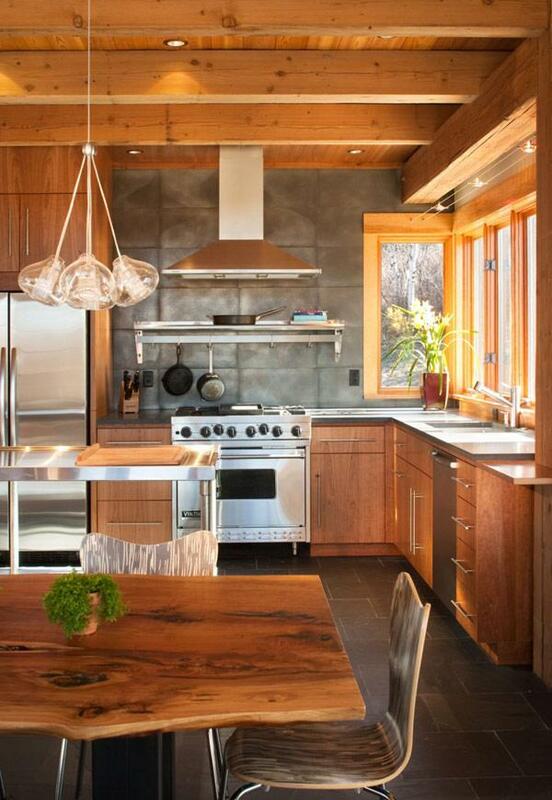 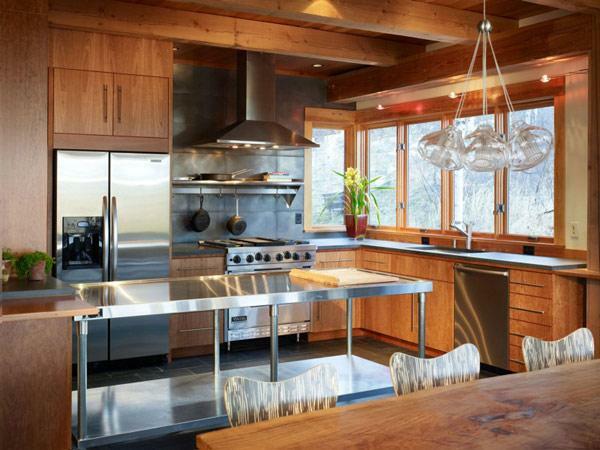 The interiors of the Reed Residence are spacious and friendly, with wood inspiring warmth throughout. 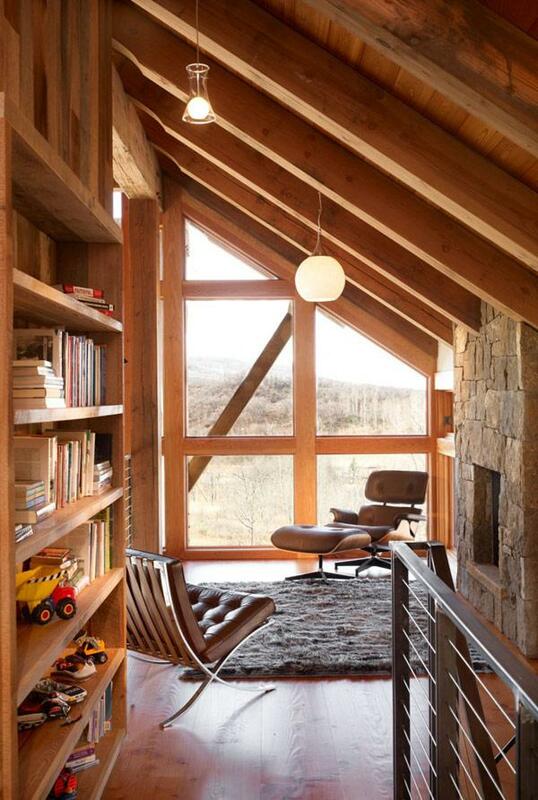 Large windows open up the home towards the landscape and allow natural light inside.